Download this Refcard to learn how to handle data that varies over time in relational databases using temporal tables. The SQL specification defines various features to define and query across temporal tables. Temporal tables are built around a PERIOD for which a row is valid, defined by two generated columns in the table. The two generated columns, defined as ROW START and ROW END keep track of the time the fields in that row remain the same. If a change occurs, the database will automatically update the column values for the row and generate a new one. For more information, see the walk through in the Simple Working Example section. Support for temporal tables is limited. Currently, Microsoft SQL Server, Oracle, and MariaDB support temporal tables. PostgreSQL has some temporal support via a plugin, but the syntax does not follow the SQL specification. MariaDB is open-source and easily accessible, so it will be used for demonstrating examples in the rest of the refcard. When features are described that are specific only to MariaDB are used, they will be called out as such. In order to reason about these features, we’ll use the following example: We want to track the level of proficiency of users of our app. Users will have a proficiency level of NOVICE, COMPETENT, PROFICIENT, EXPERT, or MASTER. A succinct set of queries that sets up the table, inserts data, and queries data is below. This will be described and elaborated on in the rest of the refcard. Note that I’ll be simplifying the model for readability and will ignore certain performance and modeling enhancements such as breaking level out into its own table and referencing it within the user table. When you have a table using system versioning, the database keeps track of changes that you make over time using the two additional columns marked by ROW START and ROW END. Changes you make to a particular row are stored as separate rows in in the table with the ROW START column identifying the timestamp of the change. The value of ROW END will either be sometime far in the future, signifying this is the current valid row, or sometime in the past, signifying that other updates have superseded the row. New updates will automatically adjust the ROW END value of the previous row so no overlaps occur. If we update user 1, the end_timestamp field of our existing row with the NOVICE level will be updated to reflect it became invalid the moment our new update occurred. Deleting a user will simply set the END ROW value of the current row to the timestamp of the delete query. Querying for data at a specific point in time can happen in two ways. If you want to get the current version of data, i.e., if the specific point in time is now, simply write the query you would expect to write with no additional syntax. If you want to query for a particular point in time in the past, add FOR SYSTEM_TIME AS OF TIMESTAMP'<timestamp string here>' just after the table name. To find all valid rows within a time range for a specific query, you can use BETWEEN...AND or FROM...TO syntax. BETWEEN...AND will show all rows valid between the time range specified and is inclusive of the boundaries. FROM...TO will show all rows valid between the time range specified and is inclusive of the FROM timestamp but doesn’t include the TO timestamp. To find all of the versions of the rows you’re interested in, use the FOR SYSTEM_TIME ALL syntax. There are numerous date and time types and functions available in the SQL spec to help reason about time. Below are a few that cover many of the cases needed when querying temporal data. We’ve used a literal TIMESTAMP in previous examples, which requires a full datetime expression. Using the TIMESTAMP function, we can specify a date or datetime, adding some flexibility to how specific we want to define our queries. Use NOW() to get the current datetime. Useful when paired with INTERVAL (described below). The INTERVAL keyword can be used to add to or subtract from temporal types. To use an interval, specify the quantity and unit of the interval, such as INTERVAL 1 MONTH. Some interval units include: MICROSECOND, SECOND, MINUTE, HOUR, DAY, WEEK, MONTH, QUARTER, and YEAR. In the above example, start_timestamp and end_timestamp are arbitrarily named, and you can change their names as you see fit as long as you reference them appropriately in the PERIOD. The type of the two rows is flexible, but you usually want to record the date and time of changes at the highest level of precision possible. Some databases, such as MariaDB, support a more succinct form of defining versioning. In this form, the only additional detail that needs to be added is WITH SYSTEM VERSIONING. The ROW START and ROW END columns will be generated as invisible columns and the PERIOD will be defined with those columns. The columns won’t return in a SELECT * statement, but instead must be explicitly referenced as ROW_START and ROW_END. System versioning can be added to an existing table using the ALTER TABLE syntax, after which future changes will be tracked. In order to use system versioning, we need to add the ROW START and ROW END columns, a period, and specify the table should be versioned. You may care about changes to most columns in a table, but are not interested in tracking the changes to some of them. In this case, you can exclude columns using WITHOUT SYSTEM VERSIONING when defining them. Note this is only available in MariaDB. When changing the favorite_color value, the system will not create a new row and update timestamps. Instead, it will change the favorite_color value of the current row in place. You may also have many columns in a table that don’t need versioning but want to version on a small subset of columns. Instead of having to mark the majority of your columns using WITHOUT SYSTEM VERSIONING, you can use WITH SYSTEM VERSIONING on a specific column. This automatically makes the table versioned and excludes other columns from being versioned. This feature is only available in MariaDB. #Storing History Separately Storing historical records alongside current records can impact performance due to the resulting overhead in table scans and index lookups. In order to reduce the impact on queries for current data, add a separate partition for historical rows. There must be exactly one current partition and at least one historical partition. When removing history, you may want to remove system versioning entirely, remove existing history, or remove history earlier than a specific point in time. For SQL Server, you need the CONTROL permission. In a primary-secondary configuration, it’s possible to replicate non-temporal tables on the primary to temporal equivalents on the secondary. In MariaDB, this only works when using statement-based replication. Although many tools for MySQL can be easily used on MariaDB, mysqldump will not correctly back up temporal tables due to the lack of support in MySQL. To get around this limitation, use mariabackup instead. 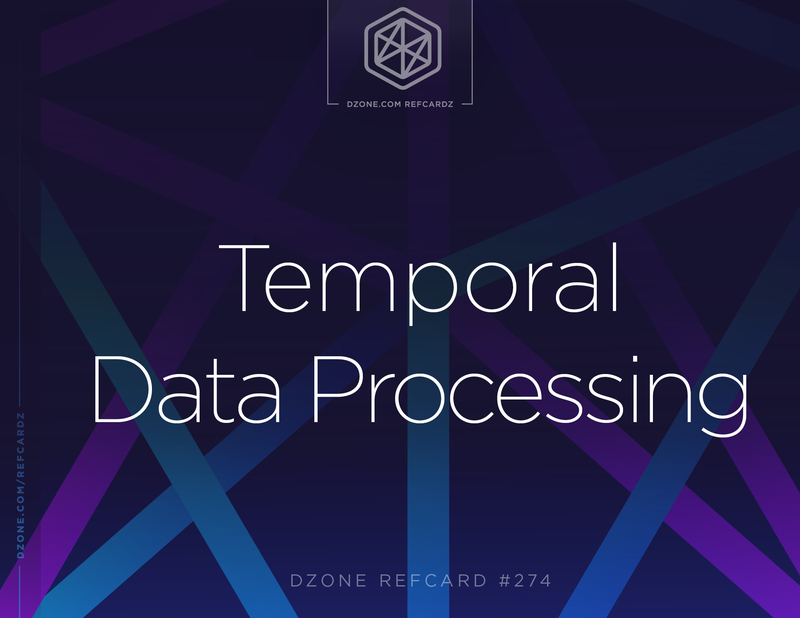 The temporal columns are automatically generated when data is added, updated, and removed. It is not possible to modify the columns directly. This means that temporal tables record transaction time, not valid time. Valid time typically refers to the time that a particular fact is valid in the real world. There may be some delay between when a user is recognized as an expert and the database is updated to reflect that. This is not a limitation per-se, but something to keep in mind while thinking about latency between a real-world event and the resulting modification of data in the database.